Safety App for Women and Young Adults! 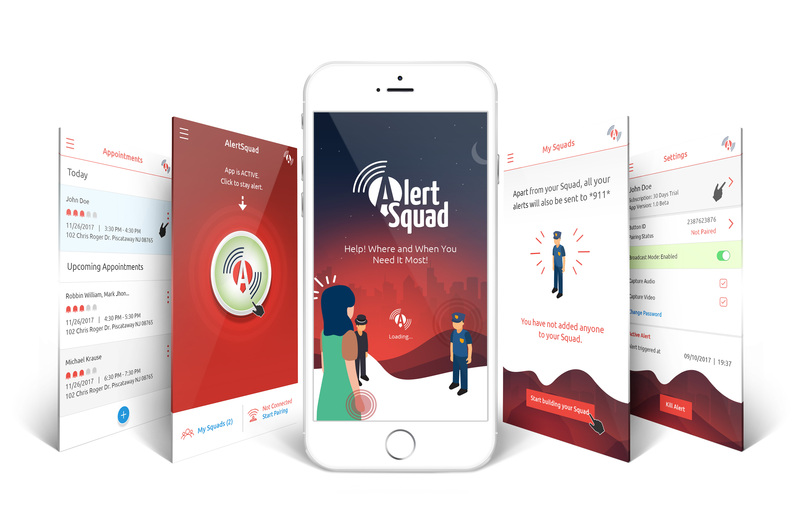 Users will use this App to trigger an alert in any critical situation to their loved ones and emergency services (911). A unique feature of this App is that it can be paired with the Bluetooth button (FOB – that is sold separately), which users can attach to their key-chains. They don’t have to worry about reaching out to their mobile, unlock it, find the app and trigger the alert… they can do all of this just with the long press of the paired Bluetooth button. Users have the ability to name up to 5 people/organizations (local police, parents, spouse, friends, etc.) to notify in case of an emergency. 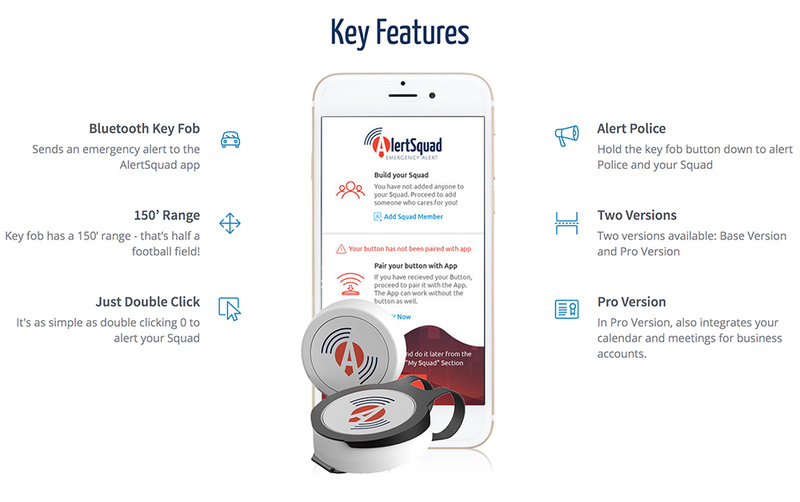 When they are faced with an emergency, they can simply press your key Fob and an alert is signaled through AlertSquad. Their entire Squad is instantly notified, including your GPS location. The App also starts recording the audio conversation as the button is pressed and this is additional information that will be provided to 911 in a request. Our goal is to make a difference in the lives of victims by not only decreasing the percentage of sexual assault/violence but also catching the perpetrators.